Police who discovered a stash of bank notes worth around £20,000 in the West Midlands have taunted the suspects on Twitter, saying they should drop in to the station to claim their cash. 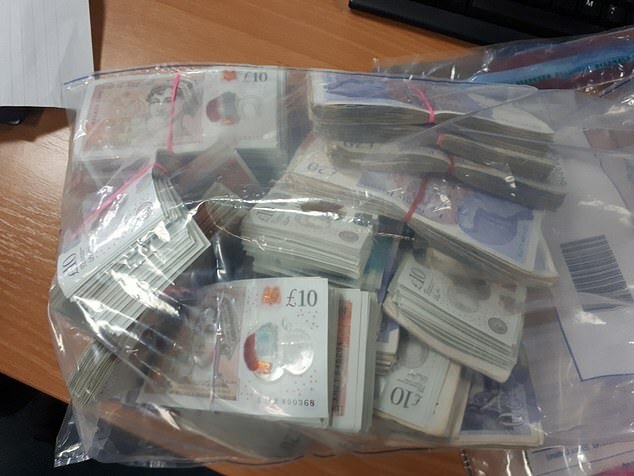 The Local Policing Priority Team’s account @LpptNWestMercia wrote: ‘We have some good news for whoever lost more than £20k in Wellington yesterday. ‘We’ve found the bag of money you lost, we’re pretty sure you’ll want it back so please get in contact!! One Twitter user said it might be fake, but the Police account responded saying that the UV equipment they use to count it also checks against counterfeits and security dyes.